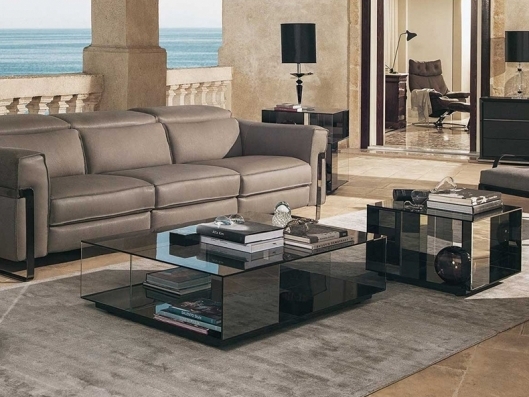 The colours and geometrical shapes of the Labirinto coffee-tables have burst into the Natuzzi Italia Collection. Designed by architect Claudio Bellini, they combine beauty and functionality in a unique furnishing accessories range. The hidden swivel castors allow the table to be moved easily and the open compartments can also be used as book shelves. The product is made of thin but highly resistant glass. The special processing of the glass contributes to the creation of colour combinations between the different shades. Options: Available in various shapes and colours. Call us for pricing at 828-327-8485 or Click here to receive email quote for Coffee Table item.